Blue Bird-of-Paradise Calls from the Canopy in the Eastern Highlands Province of Papua New Guinea. 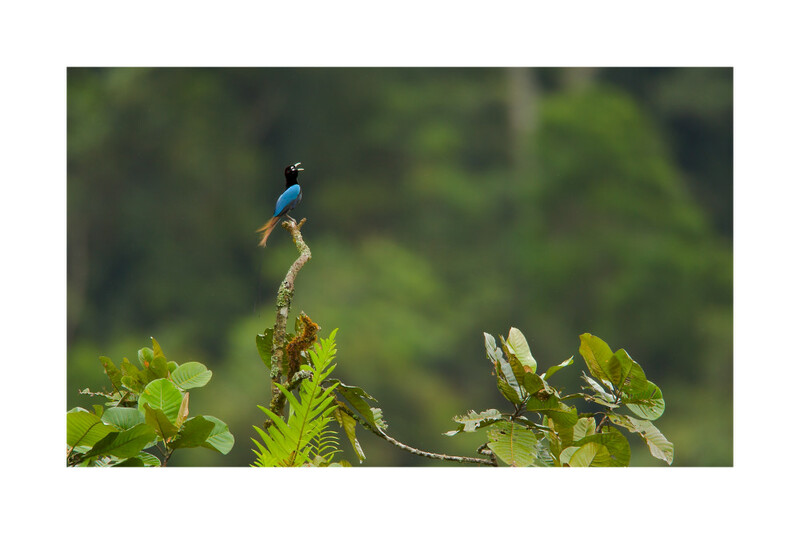 A male Blue Bird-of-Paradise perches high in the rain forest canopy and calls to attract a mate. Eastern Highlands Province, Papua New Guinea.